Wandering Jew (Tradescantia fluminensis): growing, planting, caring. A cute houseplant or a weed, depending where you live ! 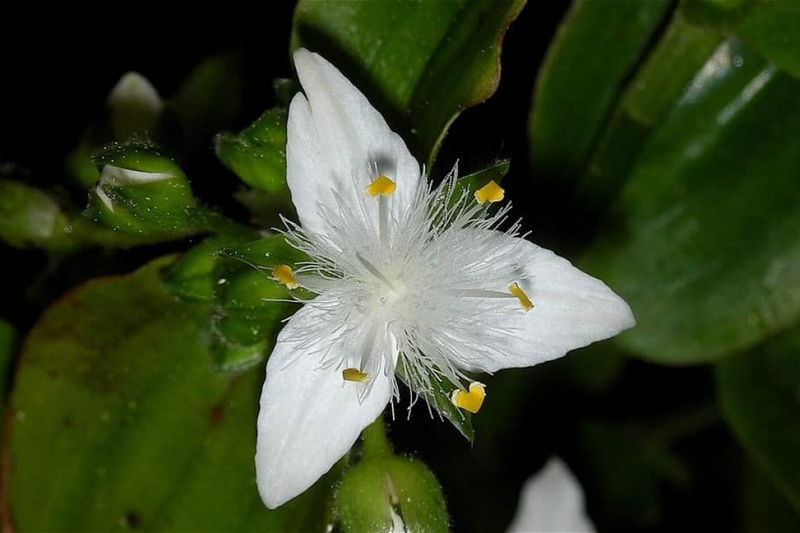 Tradescantia fluminensis is a species in the family Commelinaceae native to South America, and grown as a garden plant or houseplant but also considered a noxious weed in many places such as Australia, New Zealand and the southeastern United States. It is a perennial ground cover that spreads along the ground with soft, hairless stems and oval, dark-green leaves with pointed tips, and white flowers in small clusters in summer. Spiedrwort is a compact, evergreen creeping perennial. Its leaves reach 15 centimeters, are lanceolate, pointed. The flowers have three petals, and depending on the cultivar they are green or variegated with white or cream shape. The 65 species of the genus Tradescantia are native to America, evergreens, perennials and almost all fear the cold. The exception is the hybrid T x. Andersoniana.